“The level of violence here in Baltimore City is completely unacceptable,” Gov. Larry Hogan said Tuesday as he introduced a new slate of initiatives designed to target that violence. The package includes funding the Baltimore City Police can use to recruit new officers and a new joint operation center, from which law enforcement from 16 agencies will target violent crime in Baltimore. 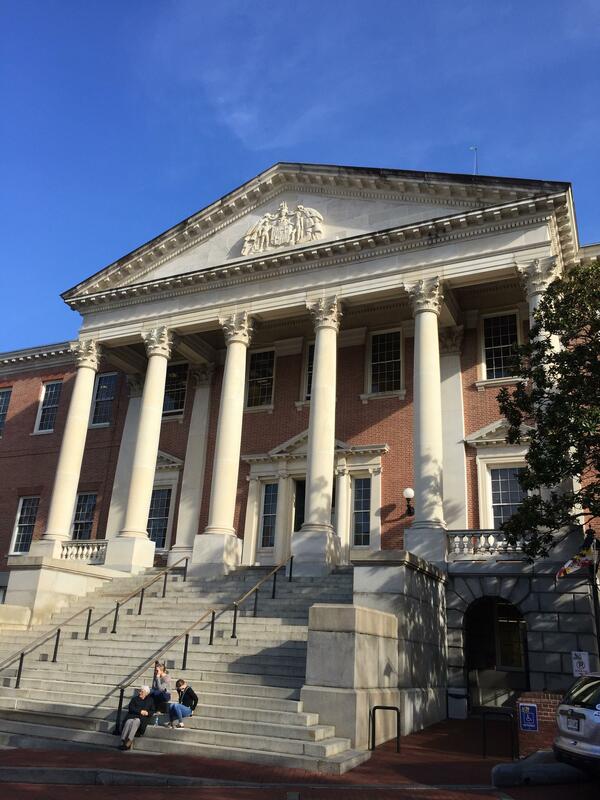 Hogan also plans to reintroduce legislation that failed in the General Assembly last year. Senate President Mike Miller said he is backing initiatives Baltimore Mayor Catherine Pugh has requested to strengthen city policing, including a new police training center at Coppin State University. He also supports allowing Johns Hopkins University to create its own police force, which the university says it needs to combat crime on and near its campuses. A bill to do that failed during last year’s session, but Miller said he expects it to make a comeback. Incoming Sen. Mary Washington, whose district includes Hopkins’ main campus, firmly opposes the idea. In a Facebook post last month, she said that while the University of Maryland and Morgan State University have their own police, they are publicly funded and accountable to citizens. Johns Hopkins, on the other hand, is private. Statewide, Sen. Joanne Benson, from Prince George’s County, has introduced a ban on 3-D printed guns. “In addition to prohibiting someone from possessing, selling or transferring a 3-D printed gun, it also prohibits the ownership of the computer language or the blueprint for such a gun,” Benson described. Democrats’ priorities also include several environment-focused initiatives. Styrofoam is already banned in Prince George’s and Montgomery counties, as well as Baltimore City and the City of Annapolis. Sen. Cheryl Kagan, from Montgomery County, hopes to ban it statewide. A bill requiring the state to generate 50 percent of its electricity from renewable sources by the year 2030 didn’t make it during last year’s session, but Montgomery County Sen. Brian Feldman, the lead sponsor in the Senate, is optimistic about its odds this year. “Particularly now in light of all the work, all the research coming out of the federal government in the past couple of weeks about the need to move away from fossil fuels and climate change and the end of the world, … there's an urgency this year that I think wasn't the case last year,” Feldman said during an interview last month. Also expected to make a comeback after failing last year is a bill creating an individual mandate to buy health insurance. It’s modeled after the mandate that was until recently part of the federal Affordable Care Act, including a fine charged to residents without health insurance, but with one big difference: Maryland residents would be allowed to treat the fine as a down payment on an insurance plan. Democrats appear to be lining up behind the proposal, but Hogan has said he doesn’t support it.